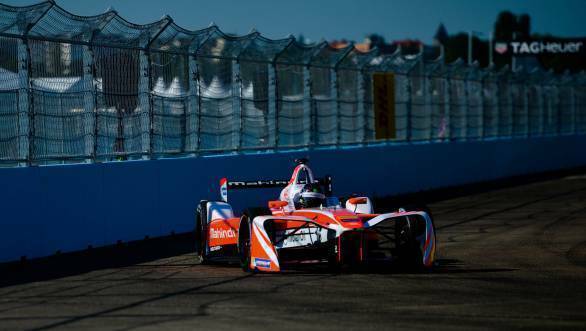 The Berlin ePrix had highs and lows in equal measure for the Mahindra Racing team. The first race of the double-header held at the Templehof Air Field Circuit saw Felix Rosenqvist taking the M3Electro to victory, giving Mahindra Racing their first ever win in Formula E. What made things even better was the fact that the team's other driver, Nick Heidfeld, managed to take a third place finish at the race. The team was nearly prepared to repeat the feat on the Sunday, which is when the second race was going to take place, but things got a little tricky. While Felix Rosenqvist managed to qualify on pole, Heidfeld had to start the race dead last on the grid due to a sensor problem on his car. 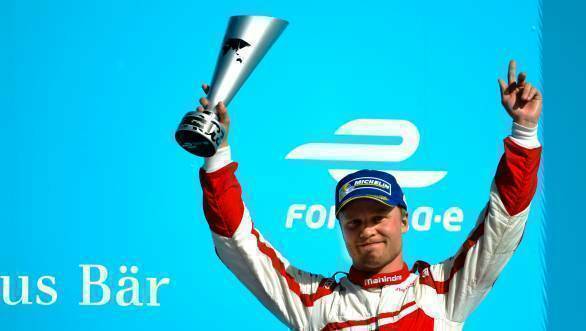 When the racing began, though, Rosenqvist got off to a good start and was in the clear early on. However things weren't quite so simple for his team-mate. But Heidfeld was carving his way through the order quite decisively. Within five laps he was already up the order in 12th place. However things very nearly came undone for the team during the pitstops for the car change. While Rosenqvist was able to swap cars, he was released from the pitlane at the exact time that Heidfeld was about to dive into the garage, which led to some amount of contact between the two. But Rosenqvist still managed to get away in the lead. And while he won the race ahead of Sebastien Buemi on track, with Lucas di Grassi finishing in third place, things didn't go as planned. 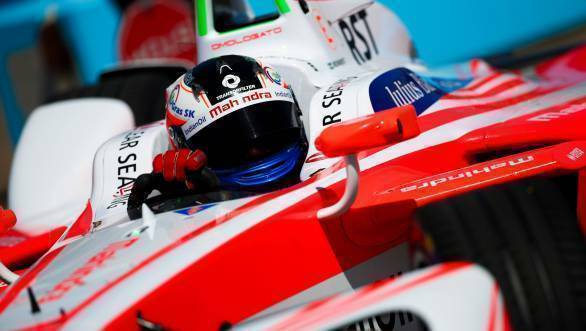 Rosenqvist was handed a ten-second penalty for unsafe release from the pits, which meant that he was classified second in the race. The consolation for Heidfeld, after a very tough race weekend, perhaps, was the single point from his 10th place finish. Dilbagh Gill, Team Principal, Mahindra Racing Formula E Team said, "There are so many positives from this weekend here in Berlin. It just goes to show that everything must come together for a win and while we were able to achieve that yesterday, a small mistake made the difference today. Felix did an amazing job both days, his driving was perfect and to put our dominant M3Electro on pole after winning less than 24 hours before was magnificent to watch. I will always be in awe of Nick as well. His progress through the field from 20th to the points was a master class in wheel-to-wheel racing. Now, as a team we will look forward to preparing for the final races of the season!" The 2017 Formula E season now heads to North America for the final four races in the championship - double headers at New York and Montreal.